Cornflower is an attractive, tall annual with a much branched stem and hairy, grey-green leaves. Easily its most distinctive feature is its large intensely blue ‘flowers’, which in common with other members of the daisy family (Asteraceae) are in fact a compound head of many small flowers. The edge of the head consists of large clear blue flowers and the middle of small purplish ones. 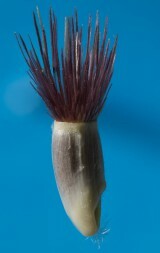 Flowering occurs from June to August and is followed by the seeds which are similar in size to cereal grain but crowned with a brush of short bristles. More recent publications (i.e. ITIS Catalogue of Life) have used the Latin synonym Cyanus segetum. 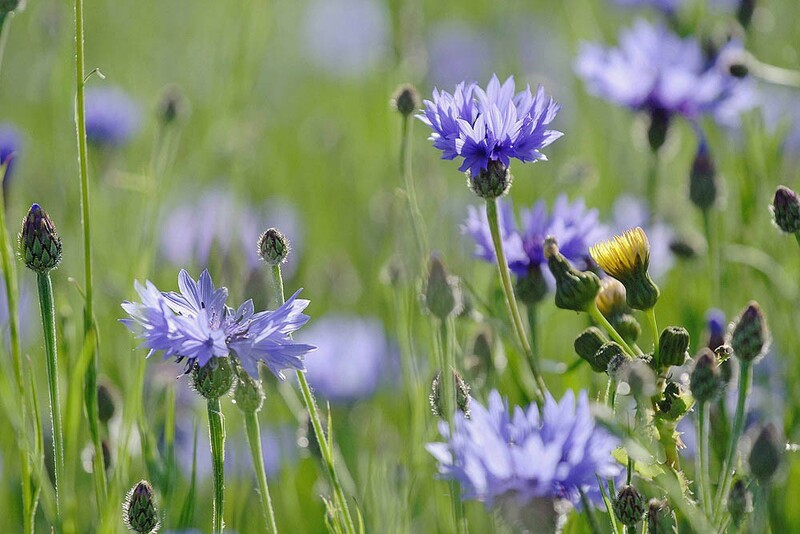 Cornflower was formerly a widespread arable weed particularly on sandy loams but also on many other soil types including calcareous clays. Although most commonly associated with crops that were cultivated in the autumn it also grows well from seed sown in the spring. 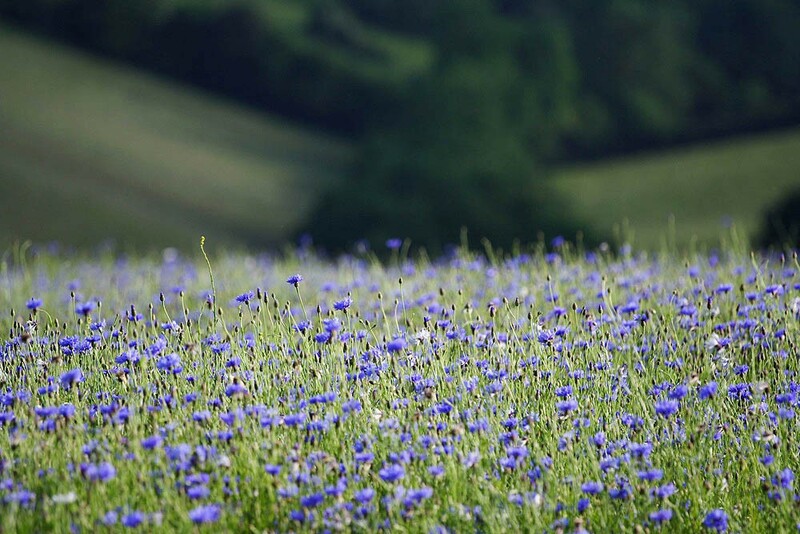 Cornflower was probably introduced to Britain with the arrival of agriculture and was certainly present by the Iron Age. It continued to be a serious weed right up to the beginning of the last century when improved seed cleaning technologies were developed. The resulting decline was exacerbated with the introduction of modern herbicides and by the early 70s it was a very rare plant. 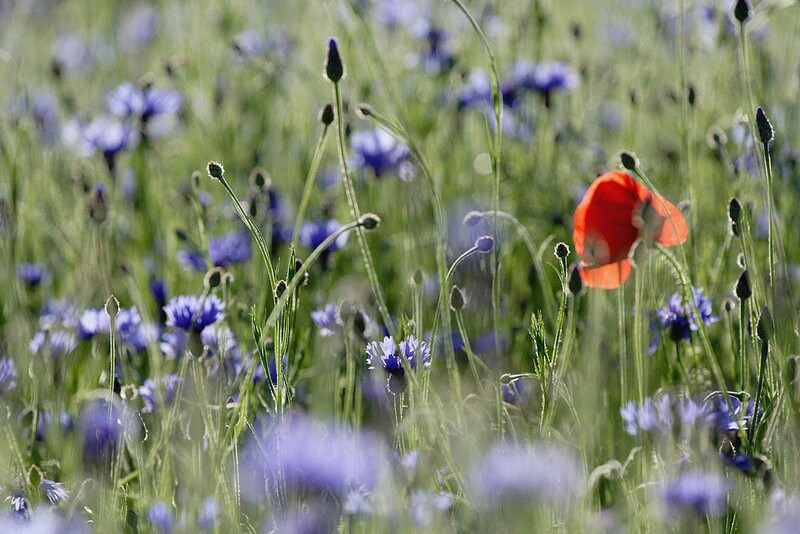 It continues to crop up as a casual on road verges and waste ground but as an arable weed it is restricted to a very few sites in southern and eastern England. 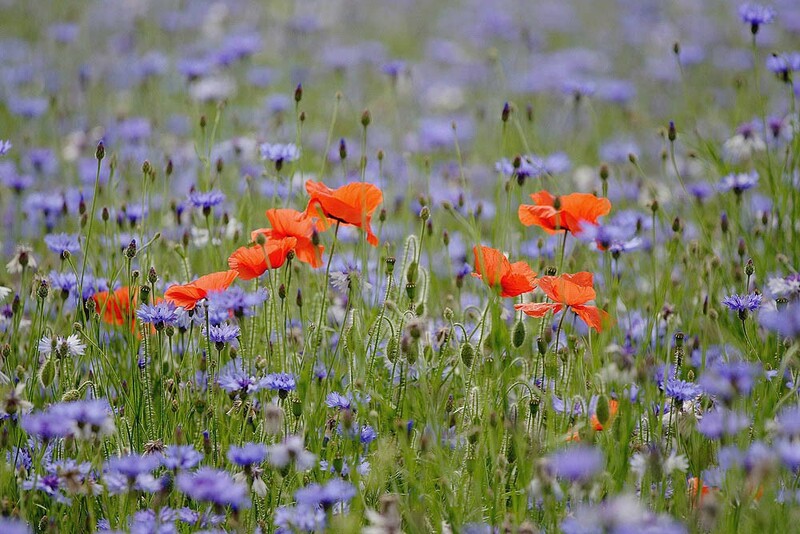 In the wild germination is mainly in the autumn and winter, but some can germinate following spring cultivations. Easy to grow from seed sown any time from August to late April but best sown before the end of March. You can order any quantity of this species from 1g up to 2500g. Please contact us if you require more.